Gently cleanses and moisturizes hair. Eucalyptus oil provides a spa like treatment at the back bar, and the antimicrobial properties are naturally anti-inflammatory. Nettle and Baltic Sea Bladderwrack promote strong hair health. Perfect for daily use. Paraben and sulfate free. 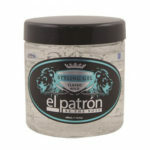 El Patron Cool Aftershave. 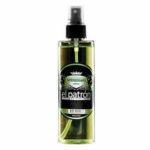 After Shave Cool Cool tones that stimulates the skin with an invigorating tingle. Leaves skin smooth and comfortable. Instantly cools, tones, and refreshes the skin with the sensation of the big, blue sky and the energy of the open waters. Cool is a new definition of casual elegance. Cool, fresh, warm spice— a crystal blue sensation. 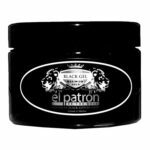 Refreshing and toning formula combines a scent of leafy green sage, watery herb tones, notes of lavender and violet, with overtures of Siberian fir needles, oak moss and leather, to create the El Patronâ€™s signature blend fragrance. Be the Boss. Enhances black and covers grey. 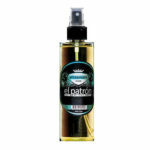 El Patron Clean Aftershave. Protective aftershave will calm and revitalize the skin. 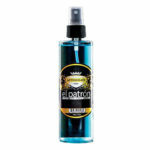 Formulation contains skin friendly ingredients to help repair shaving irritations. A classic masculine fragrance of aromatic fougère, with top notes of bergamot, rosemary, lavender, middle notes of cardamom e geranium, and a dry down of vetiver, cedar, and fir balsam. Maximum Hold Styling Gel. Helps to shape hair to create various modern hairstyles with maximum hold. It contains natural extracts for healthier hair and shine. 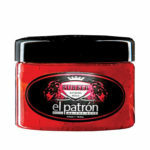 This hair gel is alcohol-free and has a low pH to prevent dry or flaky scalp skin. Use on either wet and dry hair. Exceptional on thick, unruly hair. Infuses moisture into hair shaft, smooths the hair cuticle and eliminates frizz with Aloe Vera and Moroccan Oil. Sea Minerals including Algae, Baltic Sea Bladderwrack and Seaweed revitalize the hair. Soy Proteins and Vitamins A, D and E work to strengthen and protect hair. Paraben and sulfate free. An ultra-modern styler with extreme hold for creative styling. Alcohol and flake free. Made from the finest ground talc that goes on clean. The non-aerosol spray pump applies the talc exactly where you want it, with "just the right amount" in each shot. 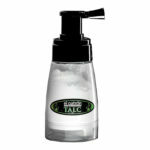 Talc helps to hide nicks and blemishes, remove excess moisture and helps control dry, itchy skin. 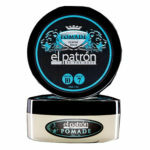 El Patron signature scented.